Leroy Sané joined Manchester City from Schalke 04 in 2016 for an initial fee of €50 million and all Blues will agree that has been money well spent. 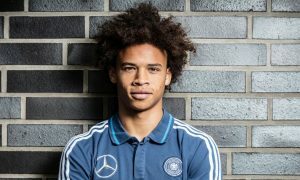 Schalke were smart enough to pack the deal with future bonuses though, which could still net them €10 million or more during Sané’s current contract, which runs until June 2021 – a deal City have been working on extending recently. German publication SPORT BILD has listed the added clauses in the deal as they look forward to Leroy’s return to Gelsenkirchen when the Bundesliga side take on Man City in the next stage of the Champions League. While some of the clauses are long shots, particularly Sané being named Ballon d’Or winner in the near future, several of them are achievable and the German club will be hoping City pip Liverpool to the title! – €750,000 for every Premier League title win. – €1,000,000 if City win the Champions League, €500,000 if they lose in the final. – €500,000 if Sané scores 15 goals in a season, €750,000 if he scores 20 goals (applies to Premier League and Champions League). – €1,000,000 if Sané is named world’s best footballer. City will be more than happy to pay most of those clauses as they will mean more trophies being won and Leroy enjoying prolific campaigns in front of goal. The Germany winger has scored 9 goals in the Premier League and Champions League to date this season, meaning he is just 6 strikes shy of triggering a goal bonus. Benjamin Mendy set for his Manchester City return as soon as next week?